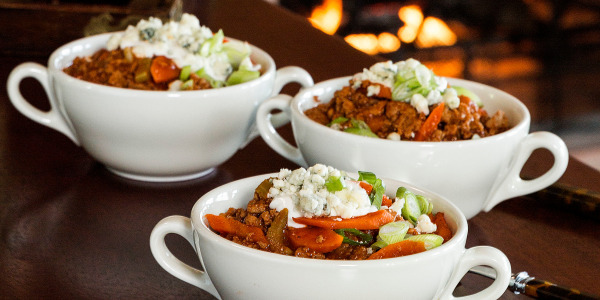 These healthy chicken recipes, including oven-fried chicken, quinoa bowls, tacos and Cajun pasta, are easy and delicious. Chicken is America's go-to dinner protein for many good reasons: It's easy, affordable and popular with kids and adults alike. And when you don't add a ton of saturated fat or salt when you cook it, it's a very healthy meat. The only problem with chicken being everyone's go-to food is that it can get a little boring, especially if you make the same handful of chicken recipes every week. 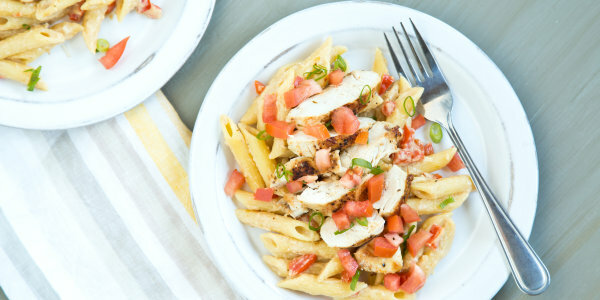 If your chicken routine is getting a little ho-hum, wake it up with one of these delicious dishes, including stews, tacos, stir-fries, lighter Cajun pasta, and an oven-fried version of chicken nuggets. There's enough variety here to make you want to eat chicken every night — and there's no reason not to with dishes that are this nutritious and delicious! 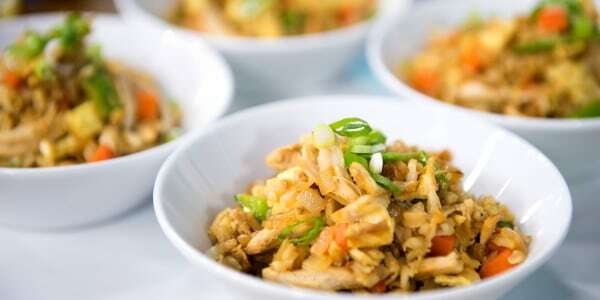 "When life hands you leftover rice, make your own chicken 'fried' rice," says Joy Bauer, who shared this recipe for a tasty homemade alternative to takeout. 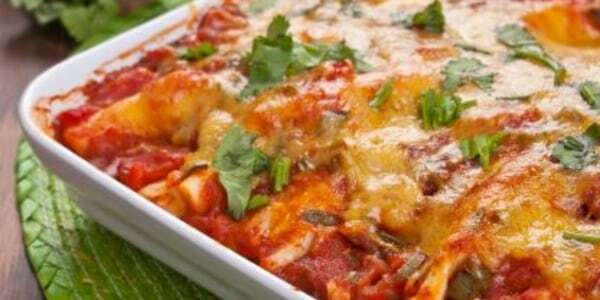 "It’s just like the dish you’d order at your local Chinese restaurant, but waayyy healthier." 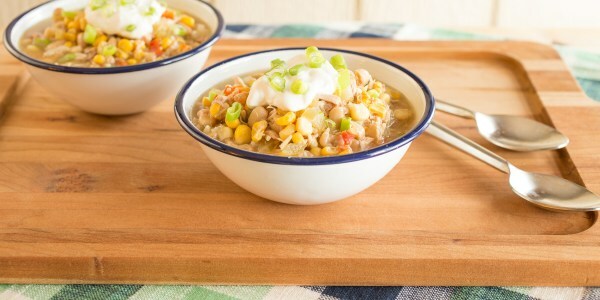 It can't get any easier than a stir-and-cook slow-cooker chili, and this simple-yet-satisfying white chicken chili is no exception. No need to sauté or brown in advance; you'll still get tons of slow-cooked flavor from this comforting blend, which is packed with good-for-you beans and veggies in addition to chicken. 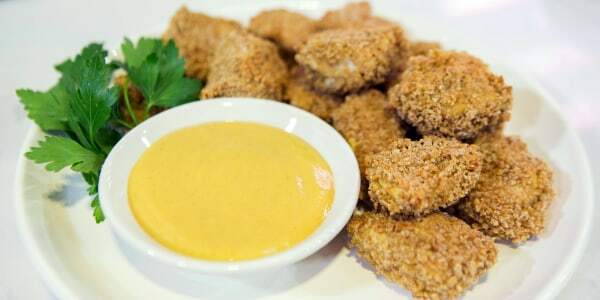 This recipe for oven-baked chicken nuggets from Hungry Girl Lisa Lillien cooks up in a flash. Whip up some extra honey-mustard to use as a dipping sauce. And serve with your favorite sides — perhaps even some oven-baked french fries! 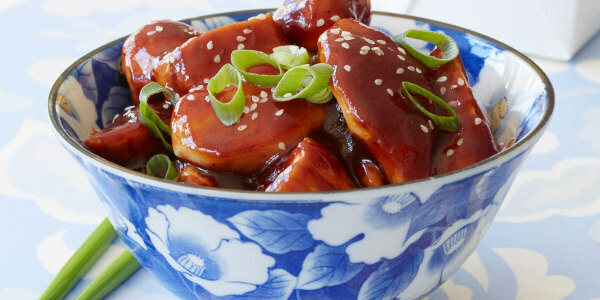 In this recipe for General Tso's Chicken, Joy Bauer slashes the sodium, sugar, fat and calories in a restaurant favorite — but keeps all the crave-worthy flavor. 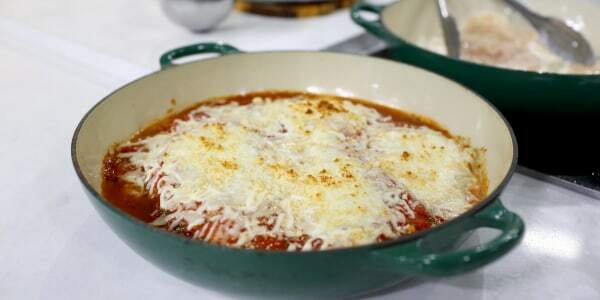 Katie Lee lightens up classic chicken Parmesan by baking the chicken breasts rather then frying them, the she tops them with sauce and cheese. And instead of pasta, she serves the dish with roasted spaghetti squash. 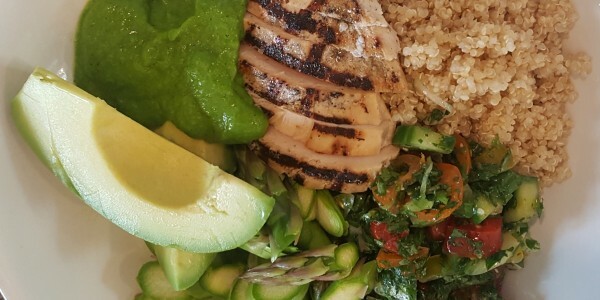 Grain bowls like this one with quinoa, chicken and avocado are a fabulous versatile lunch or dinner. You can customize them based on whatever leftovers you have on hand and then top them with your favorite dressings and sauces. Here's another recipe from Joy Bauer that gives you all the flavors of a restaurant favorite without the grease and excess calories of the original version. 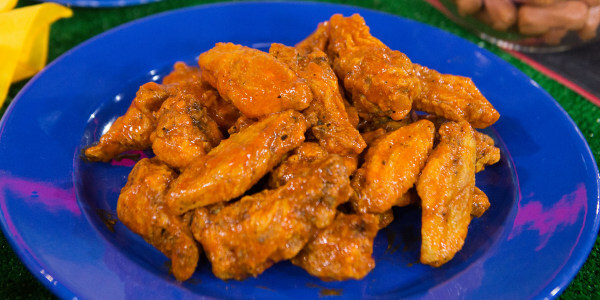 Craving more of that spicy Buffalo wing flavor? Try Bauer's Healthy Buffalo Chicken Dip and Low-Calorie Buffalo Wing Kebabs with Avocado-Ranch Dip. When you want the satisfaction of your favorite restaurant standby without the heavy-sauced hangover, give this at-home version a try. Clocking in at about 450 calories per serving, it's a healthy excuse to have what you're craving. Boost the health benefits even more by adding a handful of fresh or frozen spinach or broccoli to the pan with the red bell pepper. A lemon-garlic marinade keeps chicken breasts moist and flavorful in this classic chicken souvlaki recipe from chef Michael Psilakis. 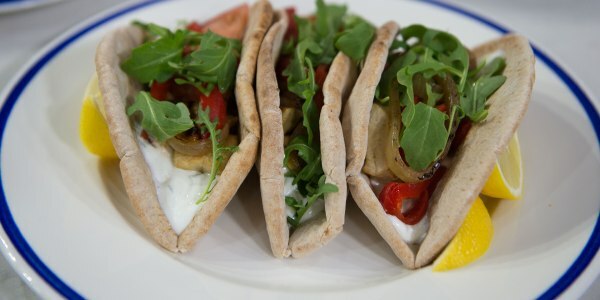 Serve the chicken in whole wheat pitas with homemade cucumber yogurt dip or store-bought tzatziki. The pulled chicken for this lightened up enchilada recipe is made in the slow cooker so it's incredibly easy. You can also use the chicken for an easy filling for tacos or quesadillas, or a topping for a salad. 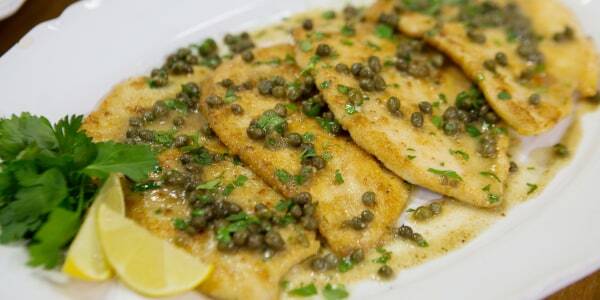 "I love this recipe because it has all the flavor and comfort of traditional chicken piccata without all the fat and carbs," says Laura Vitale, who shared this recipe for a lighter take on a classic dish. This satisfying stew is chockful of good-for-you ingredients, including quinoa, mushrooms and greens. 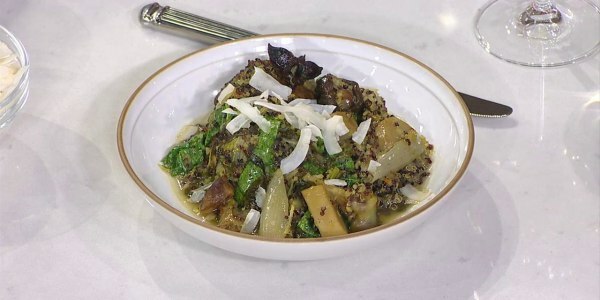 "This dish is loaded with antioxidants, has a balance of nutritious plant and animal proteins and is packed with micro-nutrients," says chef Seamus Mullen of his recipe. "The ingredients are packed with healthy fats, plus they're naturally low in simple carbohydrates and low sugar." 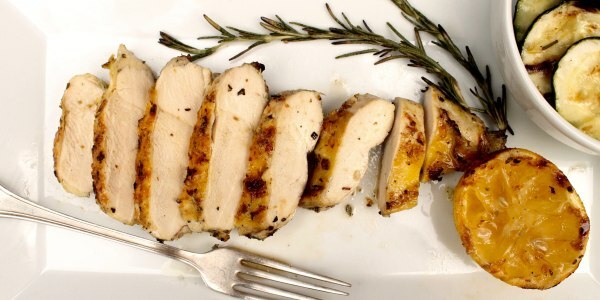 These simply seasoned chicken breasts couldn't be easier to make. If it's too cold to grill outside, the chicken can be grilled on a stovetop grill pan. And if you want to cut the fat content of your meal, feel free to substitute boneless, skinless chicken breasts or simply remove the skin after cooking. 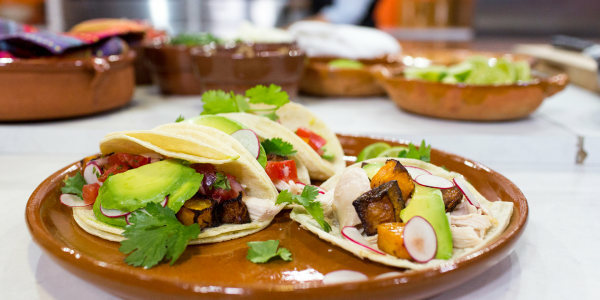 In this recipe, Food Network's Marcela Valladolid stuffs jalapeños under the chicken skin and adds fresh herbs in the cavity. Pile the shredded chicken into warm corn tortillas, then top with traditional garnishes like salsa, onion, cilantro, avocado, radishes, pickled jalapeños and a squeeze of lime. Drying chicken wings and baking them at a high temperature helps make the perfectly crispy without any of the added fat of frying. This lightened up recipe also skips the butter that's often in the sauce slathered on Buffalo wings, so it's a wing recipe you can feel good about serving all year, not just for the Super Bowl.